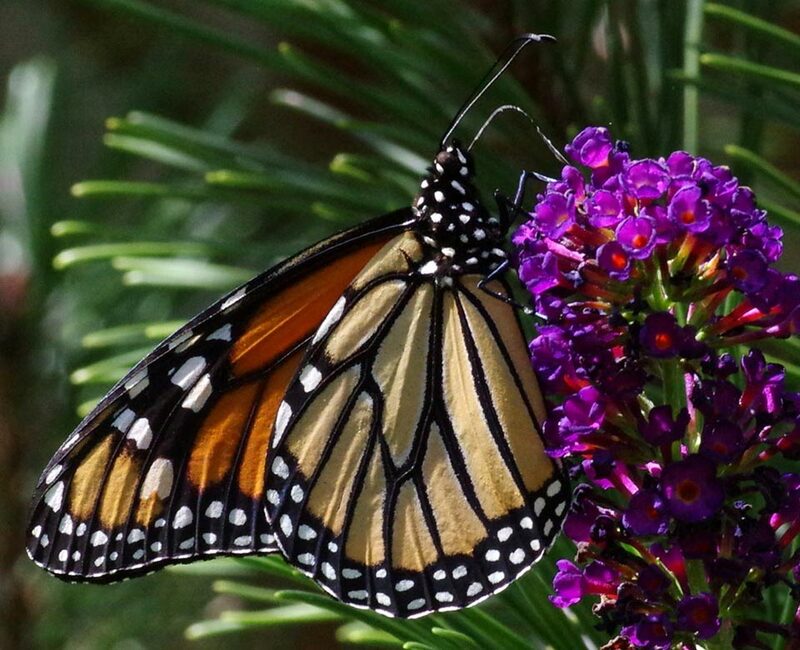 After a truly bleak 2017, in 2018 monarchs became somewhat more common to see. 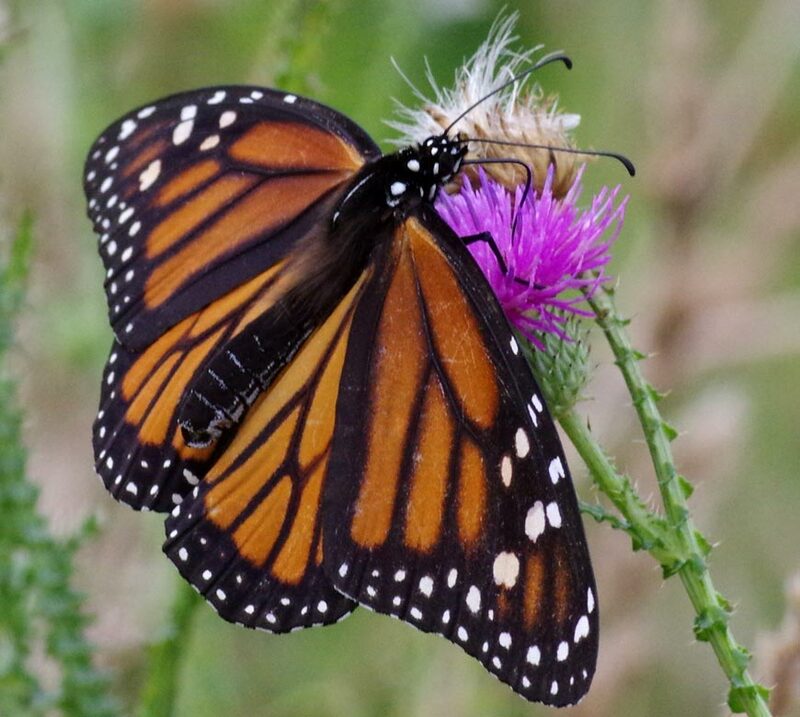 In no way is this sufficient to feel safe about monarchs being around, but at least their numbers are increasing, as well as my photos of them. The view above is from the local game land, whereas the following three photos are from my backyard. 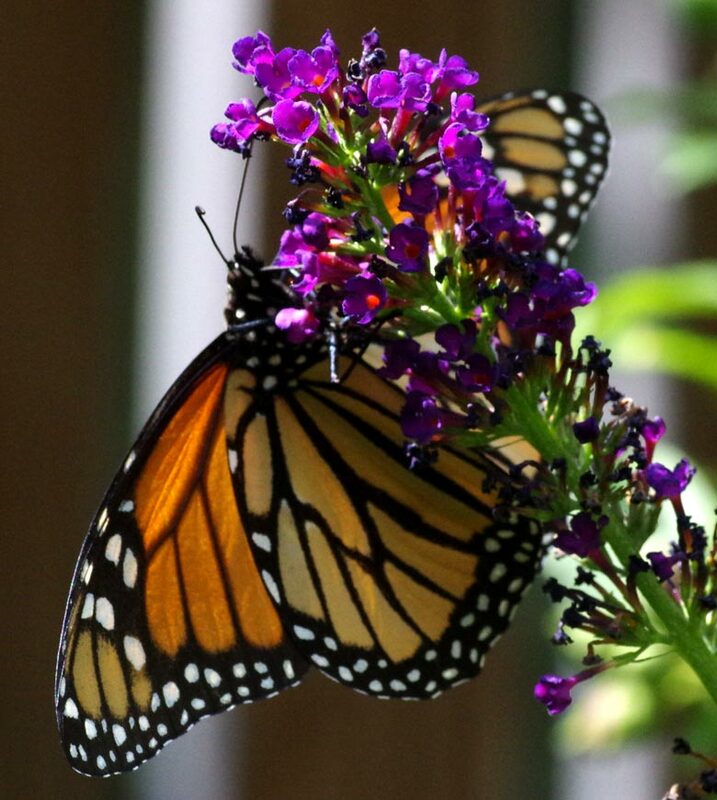 Photos 2 and 3 include my butterfly bush, a monarch food station. 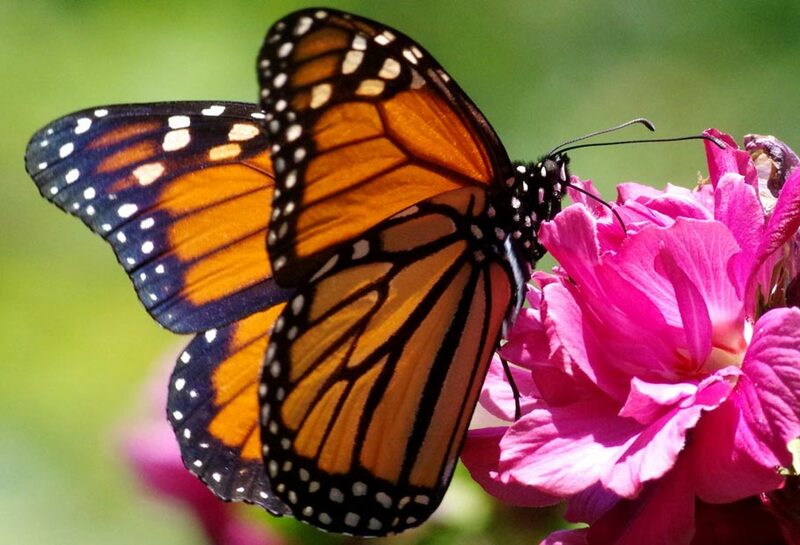 Monarchs are beautiful whether their wings are open or, here, raised. Backlighting results in a dramatic monarch on a rose of Sharon. Of course, the colors from backlighting are not standard, per a field guide, but aren't they magnificent! Photo note: I used the Pentax K3-II, with the SMC-A* 200mm macro lens, during August 2018.